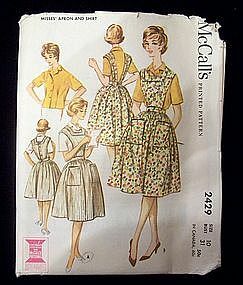 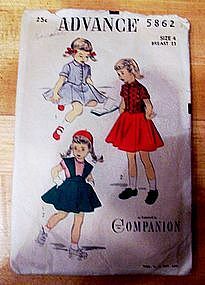 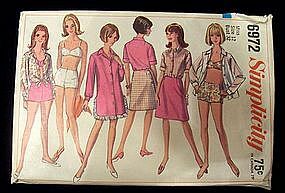 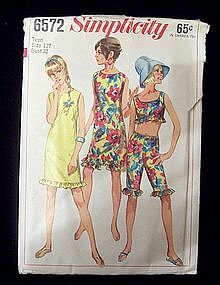 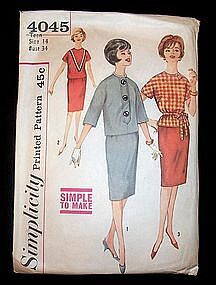 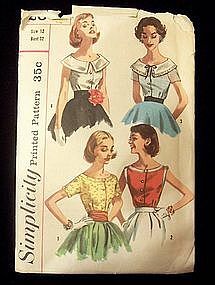 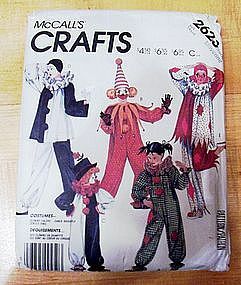 Simplicity Printed Pattern #3888, Size 20 1/2, bust 41, specially sized for Misses' and Woman 5' 3" and under. 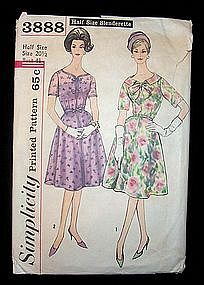 Back of envelope reads: "Half size slenderette - Misses' and Women's one-piece dress. 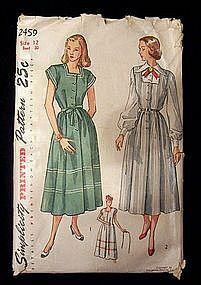 Dress has lowered neckline (shaped in front), set-in sleeves, left side zipper closing and 4-gore skirt." 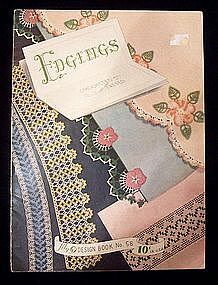 Pattern is new and uncut.Envelope is a little rumpled around the edges but not torn.